Two eerily enjoyable events each night! A night of "how'd they do that" and "I'm totally freaked out!" Doors open at 6, showtime at 7 p.m. Experience a supernatural atmoshpheric event with mind reading, psychological illusions, ghosts, hauntings, and tales of terror. Christian and Katylina engage the audience with elements of their familiar Mindtripping show combined with ghost stories and an eerie vibe that have lead some viewers to be so overwhelmed they've had to exit early! 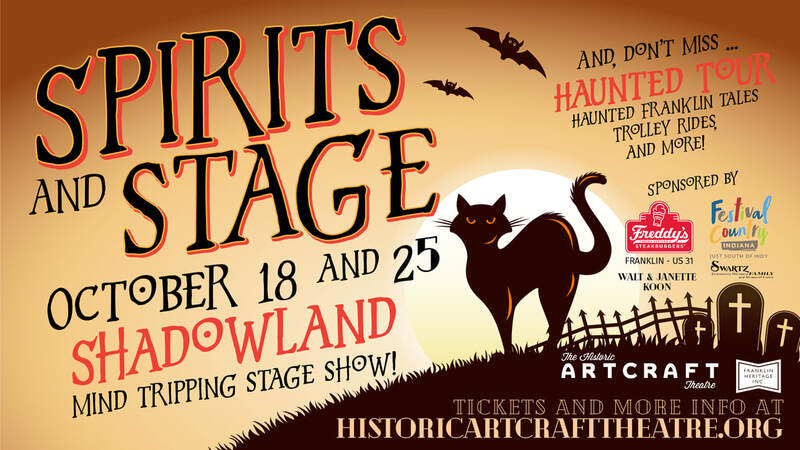 If you enjoy the spirit world and haunted tales, then this is the show for you! Trolley departs from Johnson County Museum every 40 minutes beginning at 7:30 p.m. 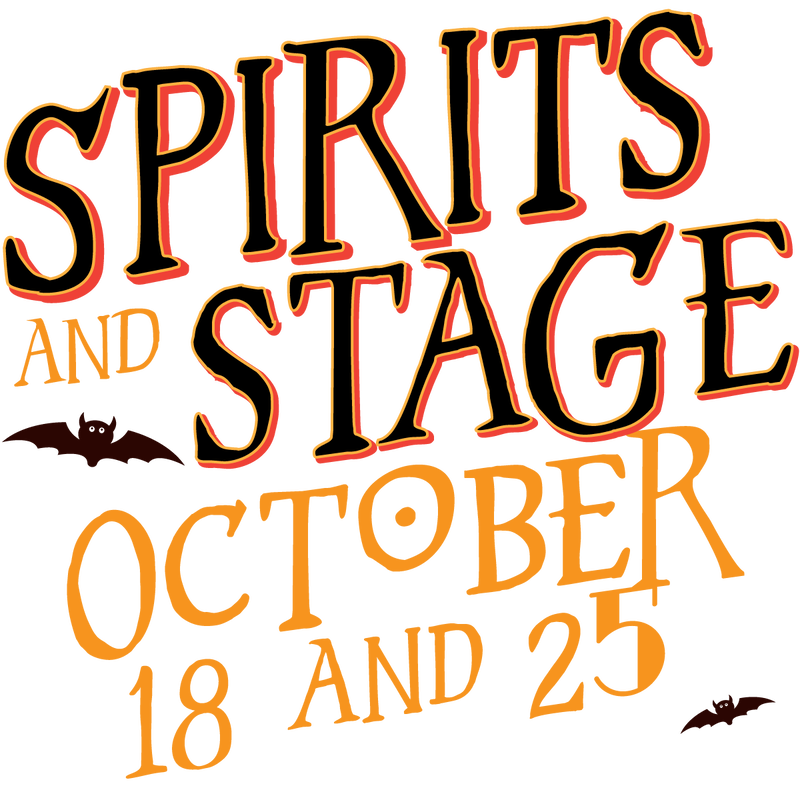 Step aboard our trolley for an eerie lesson in Franklin's past as we guide you around town and tell tales along the way. The tour leads to Greenlawn Cemetery for a guided walking tour focusing on Franklin's famous from the afterlife. 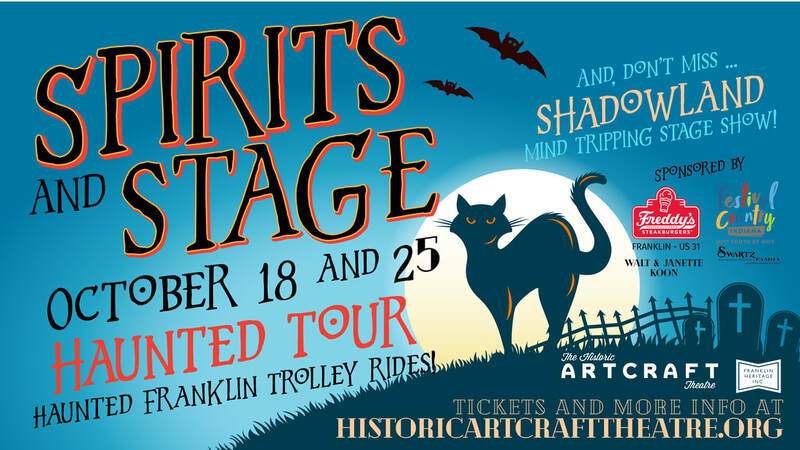 The trolley returns you to the Artcraft Cottage for snacks and psychic palm reading by Jackie from Inner Path! A lighthearted, fun evening for the Halloween fan.